This book brings together academics and expert clinicians to share their research, clinical expertise and insights in the presentation of current theory and evolving practice of language and communication work with children and adults with mental health disorders. The book presents recent developments in the field against a background of 'recovery model' principles and practices, moving beyond introductory texts published previously. This book is a highly comprehensive text drawing on multidisciplinary perspectives in the care of people with communication difficulties and mental health disorders. 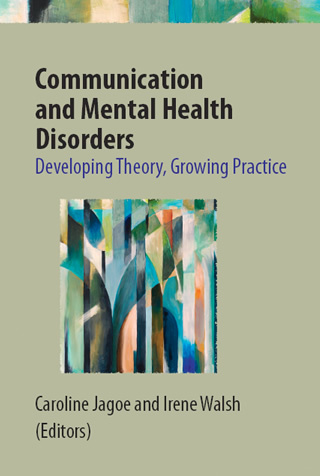 It covers a broad range of areas, providing an extensive exploration of the unique and complex relationship between mental health and disorder, and language and communication, with specific emphasis on the application of theoretical developments to clinical practice. The focus is on recent and cutting-edge developments in the field, whilst acknowledging historical constructs and contexts. Service users' contributions and perceptions are incorporated, both in chapter content and as authors, alongside those of mental healthcare professionals (e.g., psychiatrists and speech and language therapists). A full section on advances in approaches to communication intervention presents the strides taken in the practical applications of innovative thinking in the area. Caroline Jagoe's research interests lie in the area of acquired communication disorders, as well as in the area of communication disturbances in adults with mental health disorders. Irene Walsh research interests primarily lie within the domain of language and communication disorders associated with mental health in child and adulthood.